Welcome to Day 33 of 100 Days of Disney here on The Purple Pumpkin Blog! Be sure to check out all of the other posts in this series, and if you would like to share your own Disney blog posts or pictures, make sure you check out the #100DaysOfDisney Link Party! I’m a bit of a sucker for a collectible, although, I quite often look and don’t touch, otherwise our house would be full of stuff that we have no room for! 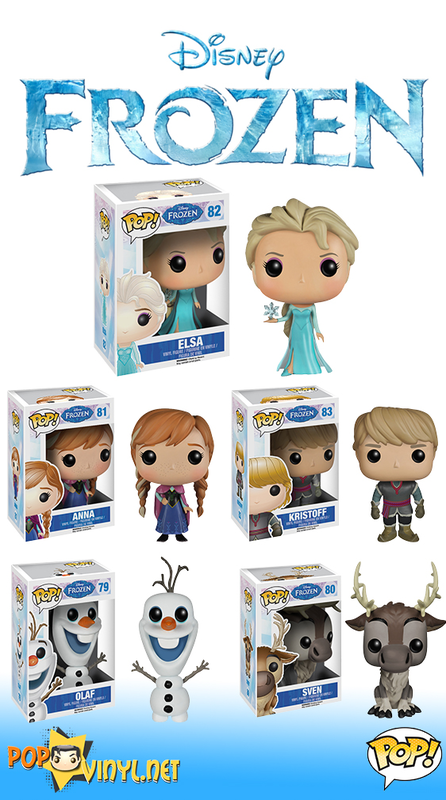 I saw these super cute Frozen Funko POP Vinyl Figures while browsing online and I totally want! Especially Olaf! What do you think of this little figurines? Are you a collector of stuffs?! Day 33 of #100DaysOfDisney is done – 67 to go!